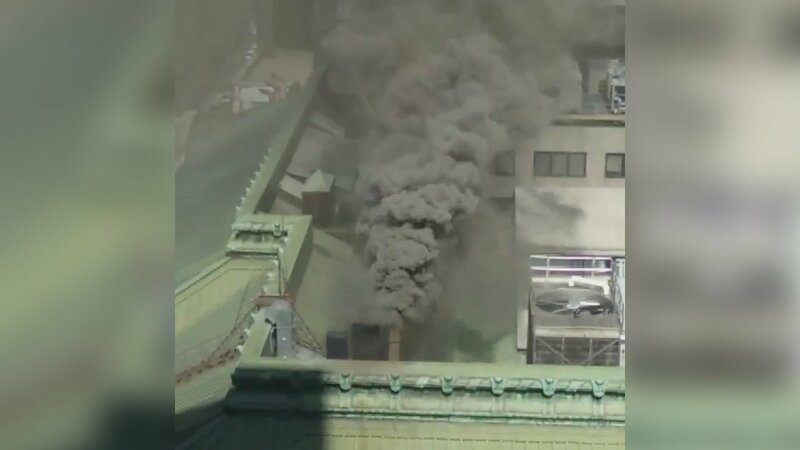 MIDTOWN, Manhattan (WABC) -- A kitchen fire caused smoke to pour from the roof of Grand Central Terminal in Midtown Manhattan Tuesday afternoon, causing people in the area to be alarmed. The FDNY said the fire occurred in the duct work of a restaurant at Grand Central Terminal. There were no injuries and the fire appears to be extinguished, the FDNY said.